It’s a pity about the timing of last weekend’s Melbourne by-election. It’s a pity it wasn’t being held this weekend, and in a seat where the governing Liberal National Party was forced to contest. While it was useful academically to get a sense of the relative strengths of the ALP and the Greens in inner-Melbourne, it would be far more illuminating right now to get a steer on how the electorate feels about the near collapse of the disability insurance system. On the face of it, the failure of the richest states to cough up a relative pittance towards the trials appears to be the dumbest – and meanest – act by leading politicians in a very long time. Perhaps there is a plausible explanation to the intransigence of Barry O’Farrell, Ted Baillieu and Campbell Newman; perhaps it does go beyond the suspicion that they are merely playing a political game, denying the Prime Minister a “win” no matter what the issue. If it does go beyond that, then so far the premiers have done a lousy job of putting the record straight. 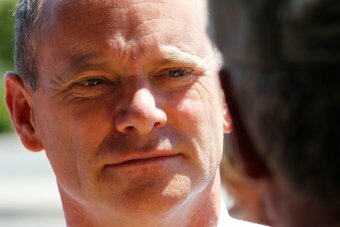 The most offensive contribution came from Premier Newman, pleading poor while presiding over resource-rich Queensland. Even at its most basic – the argument that they don’t want to lock themselves into a future funding model that will become unaffordable when it is extended – doesn’t hold water. What’s wrong with a separate arrangement simply allowing trials to go ahead, with a view to thrashing out the longer term deal down the track, especially given that everybody agrees the scheme is first class and essential? Make no mistake, the politics of this are all negative for the state premiers. This is not a situation like asylum seekers, or the mining tax, where the competing parties can at least make an argument on policy direction. There is no dispute here, no issue and no alternative proposals being put. Now, whenever a state premier spends $10m or more, and they often commit to these sorts of sums between budgets, that money will be lined up against money for the disabled. The premiers’ priorities will be put to the test every time: no matter whether it’s money for public events like a grand prix, money for lobbyists or overseas trips, the comparison can and will be made as a regular test of the values of the government. Here’s one hot off the press. Just this week, the Baillieu Government committed to spending – according to media reports – $5m to install automated boom gates at a level crossing in well-off Brighton. That was after spending $2m on a feasibility study. The politics are baffling to say the least, but not inconsistent with the level of public discourse that the country has been enduring for some time now. What on earth drove the premiers to think they could go down this path and emerge unscathed politically? The alarm bells would surely have been ringing if advisers were listening to 2SM’s John Laws as he interviewed the Minister for Families and Disability Reform, Jenny Macklin. “It’s a tragedy,” he said, “because, I mean, as Australians … we are a very compassionate race of people … we should be looking after people who simply can’t look after themselves. A test of the State Government’s strength in Victoria would have been interesting even before the rejection of the disabilities insurance scheme. Even though the Baillieu Government won just a single seat majority at the November 2010 election, the shock of the defeat of a well-established Labor Government had most pundits assuming the LNP would grab incumbency by both hands and consolidate for years to come. Few of them believe that any more. The decline started with the virtual neutering of one of the government’s finest performers, the deputy premier, Peter Ryan, over the plot to get rid of the chief of police, Simon Overland. Along the way there were extremely messy pay negotiations with well-regarded public sector workers like teachers and nurses. Then the coup de grace: the budget decision to cut into TAFE in some of the most politically sensitive regions in the state. Now the momentum is running against the government and the opposition leader, Daniel Andrews – considered by some up until now as a stop gap leader – is re-energised and hitting targets. None will be as easy to hit as the one erected when the premiers of the biggest states shirked their responsibility to the disabled. Barrie Cassidy is the presenter of ABC programs Insiders and Offsiders. View his full profile here. In just a few years, social media has come to dominate many of our personal communications. We collaborate daily, sometimes productively, sometimes not. Most organizations, however, still view social media as a threat to productivity, intellectual capital, security, privacy, management authority, or regulatory compliance. In fact, this is the most common attitude among the more than 250 organizations that have taken our Social Readiness Assessment. We’re not surprised. When we first wrote about The Six Attitudes Leaders Take Towards Social Media, our analysis showed that most organizations had yet to embrace a positive attitude towards using social media for true business value. Results of the Social Readiness Assessment reflect this continued struggle. But they also show progress. Overall, respondents were split 50/50 between a positive and challenged attitude towards social media with many indicating that they recognize the potential for social media to address strategic needs and generate durable change. The figure below shows the distribution of the six social media attitudes we identified. Fearful, folly and flippant attitudes keep organizations from realizing the benefits of mass collaboration. Simple social media solutions that generate ‘likes’ may be easier to embrace but they offer little in the way of meaningful change. The trouble with a fearful attitude is that an organization often doesn’t take a specific stance: it discourages and even prohibits the use of social media. While this approach reduces the potential for undesirable behavior — that’s the reason for restriction — it also stifles any business value that might be derived from grassroots use of social media. In companies with a formulating attitude, organizational leadership recognizes both the value of community collaboration and the need to be more organized and strategic in its use. They actively plan how to use it with well-defined purposes. They are no longer fearful of its misuse nor flippant about its potential to drive results back into the organization. Social media sponsors who want to move beyond the three negative attitudes tend to build their social media capability in one of two ways: They either use it to demonstrate executive support and build confidence throughout the organization, or they start small with a narrow and specific purpose. Note that this is different than starting with a pilot. Social media pilots don’t work because they might limit the initial audience, which needs to grow organically and aggressively for success; or they tend to launch with a half-baked scope or technology that doesn’t inspire the community to participate. The large grocery retailer SUPERVALU provides a good example of how to overcome fear in an organization by demonstrating executive support. CEO and President Craig Herkert saw social media as a way to respond faster to market needs, create a flatter organization, and share ideas and innovations, according to Wayne Shurts, the company’s CIO. To this end, Herkert uses social media both to communicate with the company and also to respond to questions and comments directly and quickly. He encourages his executive team to participate and even assigns comments and action items to them via social media where everyone can see. This creates a cultural intimacy in a company with multiple brands and acquired chains. SUPERVALU’s executive team’s use of social media has encouraged the formation of collaborative communities across the stores and departments. Whereas ideas and experiences were previously kept within local store brands, now collaborative communities have formed based on commonalities that exist across the store brands. For example, a grass roots “Shores Stores Group” formed among the more than 100 store managers with stores located in vacation communities. These stores face unique challenges from staffing during the busy season to handling peak demand during the summer months. The tools, techniques, and approaches to handling these issues are unique to this type of store and social media provides a platform for sharing ideas. The second option to overcome fear entails defining a purpose that engages people without threatening the organization. For example, instead of deploying a social network for all its employees to collaborate more effectively (but only starting with a pilot for the “western region”), a company can build a social media solution for sales people to network specifically on how to successfully identify and overcome the top three sales objections. In other words, consider a starter set of social media purposes that are highly magnetic to individuals to attract them into collaborative communities. Purposes related to employee health and safety, customer support, or even organizing the company picnic have all been used to move beyond fear and into action and experience. Any organization can get lucky and have a single successful implementation of social media. Social leaders, on the other hand, build collaborative capability through a learning process that starts with understanding their current attitude and taking the steps required to building confidence and trust. This turns a single social media success into a sustained source of competitive advantage. When New York career coach Sarah Stamboulie was working at financial services firm Cantor Fitzgerald in the human resources department some years ago, she was about to hire a support staffer. At the final stage in the process, she called the woman’s last employer, expecting to hear a glowing recommendation. Instead, the employer spoke haltingly and without enthusiasm. “It was totally damning with faint praise,” says Stamboulie. “They were basically saying this person never showed up and their attendance was bad.” Stamboulie, who has also worked in human resources at Morgan Stanley and Nortel Networks, before a stint in Columbia Business School’s alumni career services office and then in her own coaching firm, says she has seen this problem frequently over the years. Job candidates give out references who only grudgingly endorse their qualifications. That’s just one of the frequent mistakes job applicants make during their search. I interviewed Stamboulie, and two other New York coaches, Anita Attridge, who is affiliated with the national career coaching group, The Five O’Clock Club, and Ellis Chase, a coach with more than 30 years of experience, and they shared some of the most common, and egregious, job-searching errors. Once candidates have landed an interview, they make several frequent errors. One is a failure to muster enthusiasm about their former employers. “People don’t realize how positive they have to be to be positive,” says Stamboulie. Being neutral doesn’t suffice. Also, say the coaches, candidates are misguided if they think they need to be totally frank about their perceptions of their employers’ missteps. “The hiring manager doesn’t identify with the candidate; he identifies with the old boss or old management,” explains Stamboulie. Was your division cut in a move that you think was unwise? Better to say that it was a decision the company realized it had to make and that the change helped streamline operations. Along similar lines, candidates too often tell grim stories about themselves in interviews. One of Chase’s clients, a private equity professional who needs to find a new job because his niche venture is failing, was talking about himself in an utterly self-defeating way. “He was representing all the work he’s done for the last two years as a failure,” says Chase. “There is a much better way to frame it.” The candidate should talk about his venture’s successes and achievements, and play down the weaknesses. One more interview mistake job-seekers make: talking about how tough it is to find a job and how long they have been looking. Though the media has been full of reports about long-term unemployment, hiring managers don’t want to hear about it. Stamboulie says it’s important to come up with a story with a positive spin, like saying you decided to take a sabbatical and that you’ve been having a lot of meetings over the last few months. Yet another common interview mistake: being honest when the hiring manager asks about your weaknesses. One of Chase’s clients, who worked in pharmaceutical marketing, admitted to him in a mock interview that he was impatient and didn’t like to spend time with subordinates who were slow to catch on. “I said to him, ‘you’re applying for a senior management job and you’re telling us you’re a lousy manager.’” Instead, the candidate should have kept that to himself and talked about an accomplishment from his previous job. As the job interview and vetting process goes on, Stamboulie says that many candidates make the mistake of becoming impatient and pestering recruiters and hiring managers too frequently, especially by phone. It’s a good idea to follow up and stay in touch, but know that the process can take time. Impatience or testiness will only alienate your potential employer. Finally, I have to mention the most common and worst mistake job seekers make: Spending all their time answering ads, or sending out their résumé to blind contacts, instead of making meaningful connections and doing face-to-face networking. “It’s the number one, catastrophic job search mistake,” says Chase. “It fools people into thinking they are doing a pro-active search when in fact it’s very passive.” Stamboulie and Attridge agree. “More than 50% of jobs are never posted,” notes Attridge. “Eighty percent of jobs are found through networking or direct contact.” We’ve written it many times but it bears repeating. For proof that recruiting has entered a new era, one need look no further than an exceptionally novel internship application submitted this summer by Shawn McTigue. This playful 2:50 video by Shawn was a response to Mastercard’s call for applicants to creatively promote the benefits of a “cashless society.” It was his take on the “something creative” all interns were required to link to as part of the application. The rest of the process involved engaging on MasterCard‘s Facebook page, uploading a resume via LinkedIn, and following MasterCard on Twitter for further directions. The campaign represents the future of recruiting, where the process demands that applicants showcase their skills –and in the process makes them stronger candidates. In considering the best ways to re-imagine recruiting, I used Spigit’s new crowdsourcing innovation platform, ICON, to do some crowdsourcing of my own. I asked users how they thought companies should build innovation into the recruiting process. Many responses suggested posing business challenges to candidates and asking them to compete on finding solutions. Use contests and games to allow applicants to set themselves apart by way of their ideas and contributions rather than the standard, one-dimensional credentials presented on a resume. Performance in these contests reveals aptitude rather than education or experience, and that’s where the job market is going. After all, as profiled in my book, The 2020 Workplace: How Innovative Companies Attract, Develop & Keep Tomorrow’s Employees Today, a study by University of California at Berkeley estimates that knowledge doubles every two years and in some fields every six months. There was a time, not so long ago, when I was busy, busy, busy. At least I thought I was. I told people I worked 60 hours a week. I claimed to sleep six hours a night. As I lamented to anyone stuck next to me at parties, I was basically too busy to breathe. Me time? Ha! Now I work 45 hours a week and sleep close to eight hours a night. But I’m not getting any less done. Discuss your 168 hours per week with Laura Vanderkam in a live Q&A at 1 p.m. ET on Wednesday, Feb. 22. Ask your questions now. Laura Vanderkam is the author of “168 Hours” and the forthcoming “All The Money In The World: What the Happiest People Know About Getting And Spending” (Portfolio, March 1). Ms. Vanderkam lives outside Philadelphia with her husband and three children. My secret? I started keeping track of how I spent my time, logging how many hours and minutes I devoted to different activities such as work, sleep and chores. I soon realized I’d been lying to myself about where the time was going. What I thought was a 60-hour workweek wasn’t even close. I would have guessed I spent hours doing dishes when in fact I spent minutes. I spent long stretches of time lost on the Internet or puttering around the house, unsure exactly what I was doing. I’m not alone in this time fog. If you believe results from the American Time Use Survey, done by the Bureau of Labor Statistics, and other studies, plenty of Americans have faulty impressions of how they spend time in our “too-rushed-to-breathe” world. We all have the same 168 hours per week — a number few people contemplate even as they talk about “24-7” with abandon — but since time passes whether we acknowledge it or not, we seldom think through exactly how we’re spending our hours. We also live in a competitive society, and so by lamenting our overwork and sleep deprivation — even if that requires workweek inflation and claiming our worst nights are typical — we show that we are dedicated to our jobs and our families. Being “busy” and “starved for time” is a way to show we matter. Put another way, it makes us feel important. But if you think about it, complaining about a lengthy to-do list is not only boring, it’s a sad hook for one’s self-esteem. Owning up to how we spend our hours gives us more control of our time, and ultimately, of our lives. Keep a time log. If you’ve ever tried to lose weight, you may have tried keeping a food journal. Sure, you’re eating grilled chicken for dinner, but the eight M&Ms you grab from the receptionist’s candy jar add up, too. Like tracking meals, tracking time keeps us from spending it mindlessly or lying to ourselves about what we do with it. Write down what you’re doing as often as you remember for at least a week. Add up the totals. Checking Facebook five times a day at six minutes a pop adds up to two-and-a-half hours in a workweek — curiously, the exact amount of time the Centers for Disease Control and Prevention recommends we exercise. Be honest. While Americans claim to sleep six to seven hours per night, time logs show we sleep more than eight. One study tracking people’s estimated and actual workweeks found that those claiming to work 70, 80, or more hours were logging less than 60. Ask yourself what you’d like to do with your time. Claiming to be busy relieves us of the burden of choice. But if you’re working 50 hours a week, and sleeping eight hours a night (56 per week) that leaves 62 hours for other things. That’s plenty of hours for a family life and a personal life — exercising, volunteering, sitting on the porch with the paper, plus watching TV if you like. Set goals — maybe three hours of exercise and swapping out two hours of TV for reading — and see where in your 168 hours you could make that happen. Change your language. Instead of saying “I don’t have time” try saying “it’s not a priority,” and see how that feels. Often, that’s a perfectly adequate explanation. I have time to iron my sheets, I just don’t want to. But other things are harder. Try it: “I’m not going to edit your résumé, sweetie, because it’s not a priority.” “I don’t go to the doctor because my health is not a priority.” If these phrases don’t sit well, that’s the point. Changing our language reminds us that time is a choice. If we don’t like how we’re spending an hour, we can choose differently. The tap on the shoulder is happening in all departments. Most organisations have used the past month or so to plan their restructures. That means they have a list of services that need to be cut. They will have a list of positions who are no longer going to be part of the “renewal journey”. But sackings are about real people – not positions, services or faceless bureaucrats. They are people with partners, children, responsibilities, bills and dreams. Many of those have been crushed. Not because they were bad at their job but because someone decided to undertake debt reduction through sackings. Nobody wants to take a deployee into their work unit. In some areas the deployee list is referred to as the exit lounge or God’s waiting room – a form of slow professional death. “There is still a choice to be deployed elsewhere, and there is a lot being made of that, but the brutal truth is being a “deployee” would be the most humiliating of all. Nobody wants to take a deployee into their work unit. In some areas the deployee list is referred to as the exit lounge or God’s waiting room – a form of slow professional death. “I put my hand up for one and they agreed. I have had 25 years in the public service. I had planned to stay around for another five years but the last few months have taught me that enough is enough. I’ve been around long enough to have seen most things in the public service but the level of brutality and thuggery that I have witnessed all in the name of saving Queensland is absolutely horrifying. My heart goes out to all those losing their jobs who are not in a position to say ‘enough’ and walk out. I also feel for those left “intact” (for now) as they will have to wait for the next round of executions, and the next and the next and the next. I am disgusted and I don’t want to be part of it all anymore. The Government has been deliberately evasive about how many are going, although the actual number is dribbling out a little at a time. The Together Union calculated the job losses at 10,000. That’s based on the number of public service jobs before Newman was elected compared with now. It will not end here. The Treasurer has written to every minister with a list of savings to be achieved over the years 2012–13 through to 2015-16. Critical to these savings is a three per cent reduction in non-frontline staff each year. So what if staff are facing are waves of sackings for the next three years? So much for builing an apolitical frank and fearless public sector and increasing permanency. According to reports, staff at Transport and Main Roads are expected to learn their fate this week with their Director General and one-time Queensland Liberal party president Michael Caltabiano believed to be a strong supporter of a large (40 per cent) reduction in what is now euphemistically known as “back of house staff”. The Department of Community Safety is looking to chop about 230–240 staff over two years. There are rumours of major cuts at QBuild. The level of fear within departments is escalating as the body count increases. Political messaging is largely about symbolism – and there could not have been a worse contradiction than sacking people because the state can’t afford them and the appointment of 25-year-old Ben Gommers – son of Arts Minister Ros Bates and former Toy R Us salesperson as the Departmental Liaison Officer for Transport and Main Roads. This is an apolitical public service position, and that’s a pretty important qualification. If ever there is a job in the public service that demands apolitical frank and fearless advice, it is this one. Being a DLO is also a position which requires extensive knowledge of the department; the policy areas; the ministerial system and, oh yes, the public service. We are assured Mr Gommers was appointed to a $100k position on merit. Well here’s a bit of frank and fearless advice for both Minister Bates and Minister Emerson. Firstly, if you’re going to appoint a member of your family, or a colleague’s family, there’s a couple of basic things you might want to look at. Don’t appoint them outside the Ministerial office – despite what the “that’s the way the world works Premier” may say, public service positions are subject to a closer scrutiny and can buy you a whole world of political grief. So while it’s nice to be proud of your children (many parents are – including those who lost their jobs last week), if you want to run the merit claim make sure you can (a) name who was on the selection panel, (b) be prepared to release the selection and assessment report; release at least the number of applicants – assuming there was more than one – and release the advertisement. Oh, and stop hiding behind privacy laws. Privacy laws have never inhibited a minister from releasing information if it suited their purpose. Invoking privacy laws is usually also used only when it suits the minister. Politicians are not the only ones who seem to be disconnected from the renewal process. It seems that some of our senior bureaucrats are having a little bit of trouble with this thing called empathy. The recently appointed Director General of Tourism, Major Events, Small Business and the Commonwealth Games (and previous Associate Director General of Education), Richard Eden, is probably leading the way. His newsletters are prime examples of what not to do when you are trying to impose change. At a time when people are wondering who has jobs; what the future holds for the department, what the timelines are, what the structure will be, he spends his newsletters waxing lyrical about his eight-day trip to China with Minister Stuckey; his attendance at a Telstra Awards dinner and his attendance at a tourism function in Cairns. Frank and fearless advice for the Director General: there’s a big chance your staff are being offended rather than informed by your communications. Meanwhile, the Director-General of the Department of the Premier and Cabinet, Jon Grayson, is reported to have told a group of directors general that he’s concerned the public service renewal process would not be seen in a positive light – can’t imagine why that might be. HR professionals should provide oversight and advice about position descriptions, but managers should ultimately “own” them, says HR consultant Michael Sleap. Many people – and particularly managers – aren’t aware of the benefits of having good position descriptions (PDs) in place, he tells a webcast recorded for HRD Plus subscribers. “The benefits aren’t well understood or well communicated, especially in organisations where PDs are seen as a bureaucratic form-filling exercise, or even a compliance exercise. The benefits and the ‘why’ tend to get lost in that message. The biggest benefit of having PDs in place is the role clarity it provides for employees, says Sleap, a principal consultant at Right Management. “People who have role clarity are much more likely to be engaged with the work they’re doing and with their organisation, and we know that high levels of employee engagement drive better business results. The next big benefit of well-drafted PDs is that they align employees’ work with the strategy of the business, Sleap says. Further, he adds, “if [employees] understand the alignment between their role and the business strategy, they’re more likely to focus on the highest-priority work”. Finally, PDs underpin other important people processes in an organisation. “It’s really important to get the PD right… for things like recruitment and selection, onboarding processes, performance management, and so on. The costs to a business of not having an effective system for managing PDs can be great, Sleap warns. “One of the big costs of not having position descriptions in place is underperformance… What we see in some cases is that an organisation has identified an employee is not performing to the right standard. What might then happen is the manager or the HR team goes and writes a PD. It is also harder to defend unfair dismissal and other claims without a PD, he adds. “Having an up-to-date, clearly defined and signed off position description can be a really important document to have in place. Sleap points out that most organisations would not engage a consultant for an $80,000 assignment without defining what the person is accountable for and what they need to deliver. Position descriptions are similar to most other HR processes, Sleap says, and organisations should have in place an effective system to manage them. Exactly who should write the PD tends to be a contentious issue, he notes. With this established, “it doesn’t really matter who writes the PDs, as long as the discussion takes place”, he says. It is, however, vital for line managers to “own” the final PD. “It’s not good enough for a manager to say to the employee, ‘You go and draft your PD, write it up, and I’ll fire it off’. That’s not how you’re going to get role clarity, and it’s not how you’re going to get engagement as well. “The manager needs to own the final product. It doesn’t mean they need to do all the work, but a manager is accountable for an employee’s performance and therefore needs to be involved all the way through. “What HR is left to do is play an advisory role, and a quality control role, and to coach managers and employees through the process as well. They become the experts for advising and supporting, but not doing all the work for people. Sleap outlines what a PD should – and should not – include, and how to set up an effective system for PD management, in this Click here for information about upgrading your subscription. A senior corrections officer who was dismissed following his third domestic violence conviction has been reinstated, after a tribunal found an insufficient connection between his out-of-hours conduct and his job. The case is a useful reminder of factors to consider when disciplining employees for conduct that occurs outside of work hours, say the Lander & Rogers workplace relations and safety team in a recent Bulletin. The worker in question was a senior corrections officer at Goulburn Correctional Centre. After his third conviction for domestic violence, his employer – Corrective Services NSW – terminated his employment. that as a result of his criminal history, Corrective Services had lost trust and confidence in him. In the NSW Industrial Relations Commission, Commissioner Elizabeth Bishop ordered Corrective Services to reinstate the worker and pay back his lost wages. “Central to the Commission’s reasoning was the fact that Corrective Services had failed to show a sufficient connection between [the worker’s] convictions and his employment, or that his convictions would have an adverse impact on the integrity or reputation of Corrective Services,” the Bulletin says. The worker acknowledged that his convictions had the effect of tarnishing his employer’s reputation and integrity, but Commissioner Bishop held that this acknowledgement was only his opinion, and wasn’t determinative. Landers partner Neil Napper says third-party evidence of reputation damage was lacking. The problem is that seeking out such evidence – if it isn’t forthcoming – involves publicising the situation, which would be like “cutting your own throat”, he says. The Bulletin also notes that the Commissioner rejected the employer’s assertion that it had lost trust and confidence in the worker. “No reasons were given for the [employer’s] assertion, nor was it supported by evidence,” the Bulletin says. In fact, the Commissioner drew attention to the worker’s “totally unblemished work history”, his dedication, and the commendations he had received during 15 years of service. “This case demonstrates that the mere fact that an employee has engaged in reprehensible, and even criminal, conduct does not automatically give an employer the right to take disciplinary action,” the Bulletin says. Napper says that the appropriate response to out-of-hours misconduct comes back to the employer’s policies and procedures. “For example, is there a disciplinary policy that deals with these sort of infractions? What does it say? What sort of powers does it give or purport to give to the employer short of dismissal? Could there be a demotion? Could there be some sort of final warning? What does the policy provide for? Has that been communicated to staff? Are they aware of it? “This all goes to the notion of fairness,” Napper says. These days, any disciplinary action can be the source of counter action by employees or their unions, Napper warns. “In order to make sure you get it right as an employer, you really need to make sure that any step you take doesn’t come as a surprise to the individual. “The general test is if it’s going to be a surprise then you’ve probably got it wrong,” he says. Ensure that clear policies are in place concerning the conduct of staff while they are in uniform or travelling for a work-related purpose. The importance of the policies should be clearly impressed on employees, and the consequences for breaching a policy should also be made clear. consider whether it occurred while they were in receipt of any allowance or other benefit. That won’t necessarily be a determinative factor in establishing the fairness of subsequent action, but it could be relevant. Before taking disciplinary action for an employee’s out-of-hours conduct, consider whether the conduct could reasonably be expected to damage the company’s reputation, or otherwise expose it to liability. There’s an industry which has confronted sweeping job losses recently, and it’s nothing to do with making cars or aluminium. A Crikey analysis has found that 38,000 jobs have been culled from the state and federal public service over the past few years, and a further 24,000 positions may follow. Not since 1996 has the public service seen anything like it; as many as 62,000 public servants – in an arc stretching from Queensland to Tasmania via Canberra — losing their jobs. Anecdotes abound of incessant office farewells, of teams reduced to skeleton staff, of bureaucrats reapplying for their jobs while the headcount shrinks. So is this a case of “public service bashing” as premiers look for the easiest way to tighten their budgets – leaving the public with substandard services? Or is it a justified way to balance the books after a halcyon era of bureaucratic expansion? James Whelan, research director of the Centre for Policy Development’s public service program, says there’s been nothing like it since John Howard cut a third of the public service in 1996. “There are times when the public service is cut dramatically, this would appear to be one of them,” Whelan told Crikey. Federal cuts are proportionally smaller, with 4200 jobs going in 2012-13 — but the Coalition has pledged to make a further 12,000 bureaucrats redundant over two years if it wins the election, due next year. Governments say almost all positions have been vacated through natural attrition, non-renewal of contracts and voluntary redundancies. Experts predict some cuts will not be voluntary in the future. Premiers say they are culling jobs to master deficits in tough financial times; bureaucracies are bloated and must make do with less. Whelan rejects the austerity argument, saying Australia has a low national net debt and sacking public servants won’t stimulate the economy anyway. Whelan says Australia under-invests in its public service compared to OECD countries, and shrinking the bureaucracy affects government services, program delivery, policy advice, and financial management. He sees it as a counterproductive move stemming from an ideological desire to scale back government — and bureaucrats make an easy target because of the misconception that they don’t do much. Geoff Gallop, director of the University of Sydney’s graduate school of government (and former WA premier) says the public service boosts economic development, and cites the importance of having enough departmental staff in the early days of the West’s China-led resources boom. Gallop cautions premiers to think twice about slashing public expenditure as the prospect looms of a Europe-led GFC mark 2. “It’s just too easy to say ‘let’s cut the public sector’. We need a more sophisticated discussion; we’re not getting it. They’re just slashing, and I don’t think that’s a very sophisticated way to proceed,” Gallop told Crikey. Unions, perhaps sensitive to a lack of public sympathy for the country’s 1.9 million bureaucrats, are focusing on the impact on services. CPSU national secretary Nadine Flood warns there will be longer waits for services and payments; Centrelink call centres are taking up to 90 minutes to pick up — there are reports of some clients falling asleep on the phone — and the baby bonus can take 70 days to process. Flood says about 75% of federal staff losses are through attrition, with the rest voluntary redundancies. There have been some forced redundancies at state levels. “It is a tough time to be a public servant. There is a real fear amongst many areas of our membership about what their future holds,” Flood told Crikey. The union is worried about jobs in regional areas like Geelong, Wollongong, Hobart, Launceston, Wagga Wagga and regional Queensland. Cuts to specialist areas like the CSIRO is leading to a brain drain overseas. And unions are gearing up for a fight with the Coalition if it wins the federal election. Flood notes that for the Coalition to balance its books and deliver its promises — scrapping the mining and carbon taxes, posting larger budget surpluses than Labor, etc — it would have to sack more than the 12,000 public servants Joe Hockey talks about. So how much fat was there to cut? Stephen Bartos, an expert in public policy and governance (and executive director at ACIL Tasman) says the cuts are not necessarily a bad thing. But he concedes public servants get a raw deal when compared to the fuss made of cuts to the automotive and defence manufacturing sectors. However, Bartos points out that premiers like Newman have a mandate to shrink the bureaucracy. He says that from time to time the public service needs a clean-out. He cites NSW, where he says the bureaucracy does not currently have a strong reputation for competence. And Bartos says with national unemployment sitting just over 5%, many bureaucrats will find new jobs. They are well-trained in skills needed in the services industries IT and communications skills are in high demand, including in regional areas. And there is an increasing amount of movement between the public, private and not-for-profit sectors — that can be a good thing, according to Bartos. “The days in which the public service was a career for life are probably gone,” he said. Bartos may be putting on a brave face but he is concerned about the loss of the most capable and employable bureaucrats — who are often first in line for redundancies — and the ensuing loss of talent and corporate memory. A new generation of managers may not know how to handle job losses while managing morale. Opinions may differ as to the wisdom of culling 38,000 public service jobs (with another 24,000 on the line), but Crikey’s experts agreed on one thing: cuts on this scale are very significant and there should be a full and informed debate about whether the cuts are needed, and the trade-offs that are being made in terms of services and capacity. And the debate should go beyond “public service bashing”. A Crikey analysis has found 38,000 public service job cuts have been announced at the federal and state levels over the past few years. A further 24,000 positions are on the line (the federal Coalition says it will cull 12,000 positions, while the Queensland government has hinted at a possible further 12,000-20,000 job losses). Job cuts of 4228 announced in 2012-13 budget, to take effect this financial year (this does not include an additional 1154 jobs for Defence military and reservists, because they are not public servants). Largest cuts are to Treasury, Attorney-General’s, and Human Services. Joe Hockey has said if the Coalition wins government it would make 12,000 public servants redundant over two years. Hockey noted there were 20,000 more federal public servants now than there were in 2007; unions expect the Coalition to sack more than 12,000. Total: 4228 full-time equivalent jobs to be cut, rising to 16,000 if the Coalition wins. Some 5000 voluntary redundancies announced in September 2011 (O’Farrell government). Additionally, the 2012-13 budget set a 1.2% per annum reduction in labour costs across the public service, which unions say equates to 10,000 jobs. The government says nurses, police officers and school teachers will be quarantined, and concedes there is no cap on the number of jobs to go, so it could be higher than 10,000. The Labor opposition says Treasury documents show 3600 jobs will be cut from hospitals and 2400 from schools and TAFEs over the next four years. Total: 15,000 FTE job cuts announced since 2011; that may rise. Total: at least 7500 FTE cuts announced since 2011; more expected. Some 1000 FTE were cut in the 2012-13 budget (cuts to take effect over three years from 2013-14, through voluntary redundancies and natural attrition). This comes on top of 400 jobs cut in the 2011 budget, and 3750 jobs cut in the 2010 budget. Total: 5150 FTE cuts announced since 2010. In December 2011 the government cut 3600 jobs; a further 600 cuts were announced in the 2012 budget. So far, jobs have been cut through attrition and non-renewal of contracts. The government recently announced the number of positions to be cut from each department. Union sources say the Vertigan Review into state finances recommends cuts of up to 7000 (including jobs already cut). Total: 4200 FTE cuts announced since 2011. The 2012-13 budget said 1098 FTE jobs had already been cut. The Health Services Union said the budget indicated another 800 jobs would be cut. Labor says it has quarantined health, police and education. Total: 1898 FTE cuts announced since 2011. The CPSU says the 2012-13 budget cut $300 million from the public service, with agency budgets cut by between 0.75% and 3%. Does not appear to be cutting the public service, although there are reports some agencies do not fill their FTEs. UNDER-INVESTMENT in non-mining sectors and infrastructure could pose a greater risk to Australia than the ongoing economic turmoil in Europe. That’s the ‘enduring’ warning from Tim Hampton, an economist at BIS Shrapnel, which released its long-term forecasts today . The “significant under-investment” in non-mining industries could gradually erode the medium-term growth potential of the economy leaving Australia “increasingly sensitive” to large fluctuations in world commodity prices by not diversifying investment, Mr Hampton said. The organisation forecast “pretty big growth” in the mining industry over the next two years. And after that, despite reports yesterday the country’s mining boom would be over by 2014, it would plateau at that high level. “We think commodity prices, even if they fall back a bit, are going to be high enough to kick start the next round of investment projects and that will keep investment at that high level. “You won’t see more investment, but it will keep investment at that high level,” he said. As the country’s projects move from construction into production, the nation – particularly WA – would enjoy significant export growth, he said. That would keep gross domestic product just above 3 per cent for the next five years. Though the move from construction to production would mean employment growth in the industry might suffer, other industries would flourish. Mr Hampton said he expected domestically-focused industries such as residential construction to increase – especially with the Reserve Bank of Australia’s recent cuts to the official cash rate. The flow on affect of those industries expanding would result in more commercial building as well, he said, helping to provide employment in the construction industry. And for those industries suffering under a high Australian dollar, such as manufacturing and retail, analysts have more bad news with the currency set to remain a safe haven for investors by remaining strong. “We’re not looking for the Australian dollar to rise any further,” he said.